In our workshop, we give an overview of the most important cryptographic attacks. To our knowledge, this is the best (and funniest) way to learn proper crypto implementation, and how not to get a target of famous attacks. The course is dedicated to developers and penetration testers, who are already familiar with basic cryptographic concepts (you should be familiar with modular exponentiation or basic principles behind RSA). If you can’t decipher the two encrypted snippets in the introduction, then this workshop is for you. You might want to watch the videos of the Stanford Cryptography Course found online. The lecture videos can be found on YouTube, and are freely available. We recommend Juraj’s and Tibor’s workshop to anyone working with and using cryptography – software engineers, sysadmins, project managers, IT architects, and – yes – managers. If you work for a financial institution, we strongly advise taking this training! We have our reasons for the latter recommendation, and we won’t talk about it publicly. At least not for now. 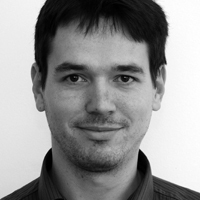 Dr. Juraj Somorovsky finished his PhD in the area of XML Security in 2013. In his thesis „On the Insecurity of XML Security“ he analyzes various cryptographic attacks on Web Services and presents practical countermeasures against these attacks, which were applied in XML Security specifications and in countless frameworks and applications. 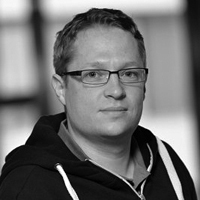 He presented his work at many scientific and industry conferences, including Usenix Security or OWASP Germany. Currently, he works as a Postdoc at the Ruhr University Bochum, and as a security specialist for his co-founded company 3curity GmbH. Dr. Tibor Jager is an academic cryptographer, doing research in applied and theoretical cryptography. His work focuses on practical cryptographic constructions, attacks and countermeasures, and the design and formal analysis of cryptographic protocols. He teaches computer networks and IT-security at Ruhr University Bochum. Together with Juraj Somorovsky, he found and reported flaws in cryptographic standards and libraries, including W3C’s XML Encryption. This entry was posted on October 5, 2015 at 08:07. You can follow any responses to this entry through the RSS 2.0 feed. Both comments and pings are currently closed. 5 Responses to "DeepSec 2015 Workshop: Crypto Attacks – Juraj Somorovsky & Tibor Jager"